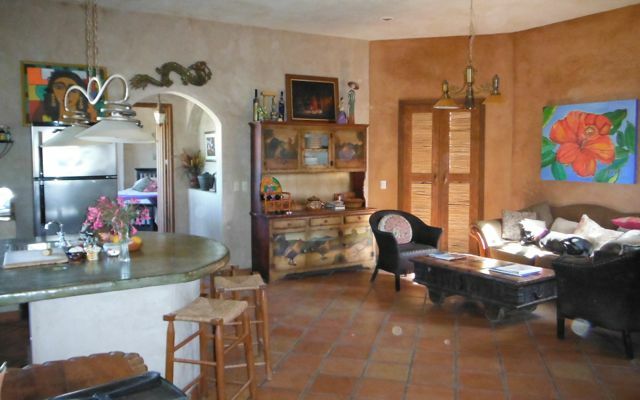 is a spectacularly built private villa in the exclusive Todos Santos neighborhood of San Sebastian. 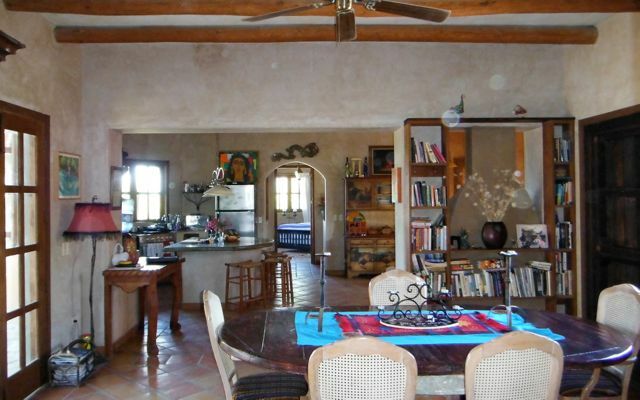 The Villa is comprised of three structures including the Main House, King Casita and Studio unit. 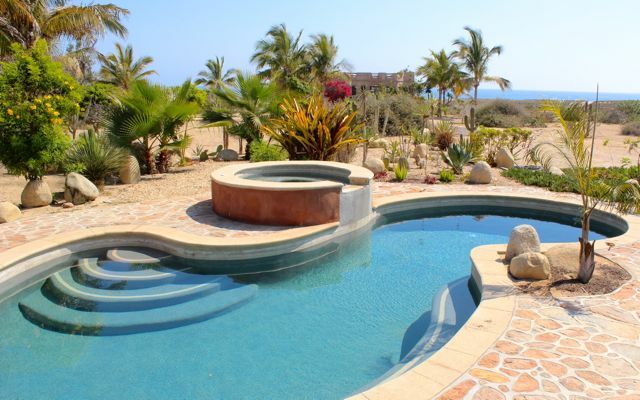 Views of the Pacific Ocean are expansive and available from everywhere on the 3 acre compound. With six miles of beach just steps from the property this is great place to observe the whales that come within 30 feet of the shore during the season (November to March). The turtle sanctuary and release area is very close by, and this is a favorite beach for horseback riding. 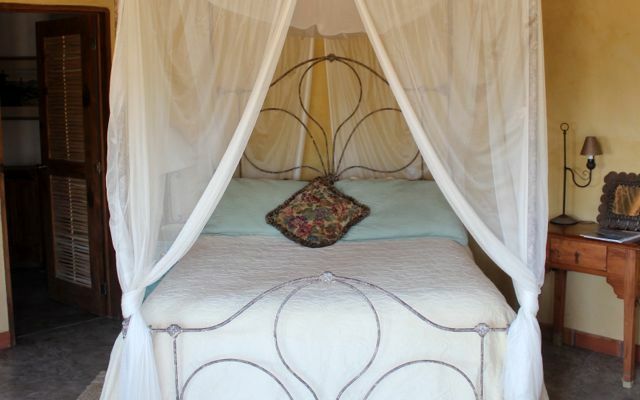 This property includes a pool and hot tub, as well as a tennis court!